With an estimate of about 89 people moving to Nashville each day, some might wonder what has warranted the influx of new inhabitants. Music City is growing rapidly, and it is boosting the economy and social infrastructure! In April of 1998, Nashville was hit by two tornadoes that damaged the homes of hundreds of people in East Nashville and the downtown area. This natural disaster resulted in much needed revitalization as well as a new arena. In 2010, disaster struck again, this time from torrential rain and extreme flooding. However, these natural occurrences could not stop Nashville’s transformation to a hot spot for new inhabitants and tourists. Live music, delicious food, and nightlife attract people from all over the country. From 2010 to 2016, the Nashville area grew an average 32,403 people a year, a pace of about 89 people daily, surging the population by 11.6 percent. The number of incoming residents of the downtown area has quadrupled since the early 2000’s, with a projection of 12,402 in 2017. People from New York, Los Angeles, and Chicago are moving here for what seems to be affordability and modern southern charm. 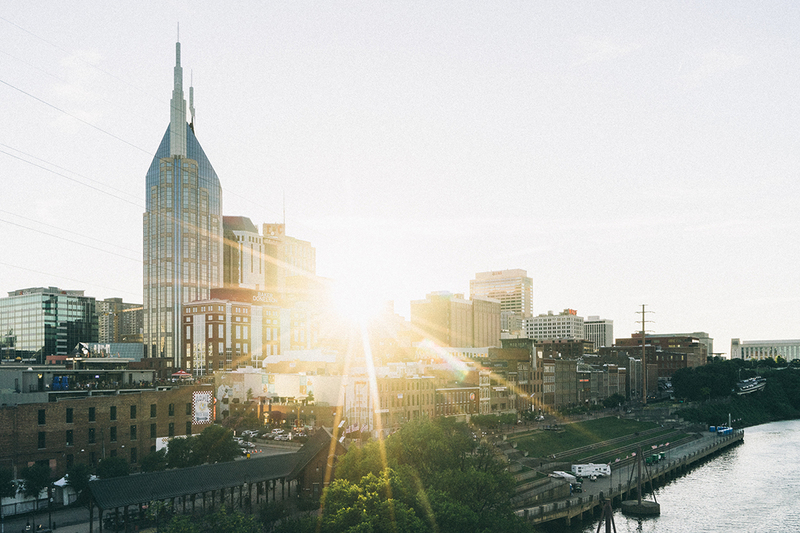 For a big city, Nashville ranks in the lowest costs of living accompanied by a low unemployment rate. Music, finance, sports, and education are driving forces of this city, making Nashville the place to be! Large companies like Roc Nation and Houzz, have opened new offices in the city and Lyft and Uber drivers are making great money! Not to mention, we have mild seasons making it a less extreme climate to live in. If you’re a married couple with children, Sylvan Park holds some incredible single-family homes full of history and charm. If you’re a musician, the hipster vibes of East Nashville or Midtown may suit you and it’s proximity to downtown is a plus. Young professionals may be attracted to The Gulch, one of the newer neighborhoods that offer convenience with an upscale & chic lifestyle. Whatever your stage in life, Nashville nurtures those needs. Whether you’re a native of Nashville or a newcomer, Armstrong Real Estate Group is here to make your home buying experience nothing but pleasant! Contact us at 615.807.0579. Click here to check out beautiful and modern properties in The Gulch area.